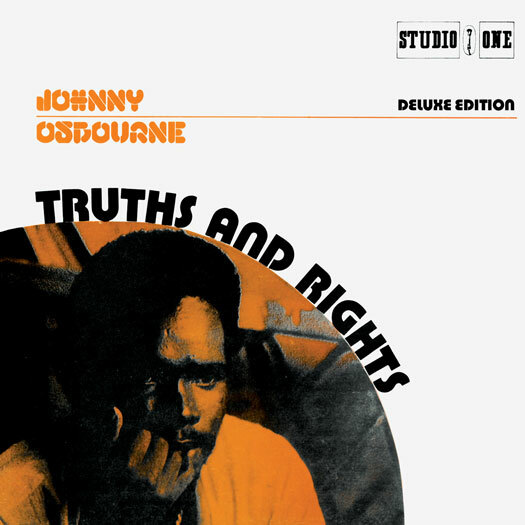 Originally released in 1979, Johnny Osbourne's Truths and Rights LP helped usher in the 1980s dancehall sound. It solidified Johnny Osbourne's popularity, and he would go on to become one of the most prolific of the dancehall reggae singers. Recorded in Jamaica and produced by Clement Dodd, Johnny was presented with a plethora of classic Studio One rhythms from the vaults on which to record. The legendary foundation label was undergoing a creative renaissance with new prototypical dancehall albums by Freddie McGregor, Sugar Minott, Michigan & Smiley, Willie Williams, and of course, Johnny Osbourne. This deluxe edition includes all ten album tracks, remastered from the original tapes. A further six tracks - extended mixes, a dee-jay version, a dub version, and a bonus track from the period - have been added. The liner notes include a recent interview with Cleveland "Clevie" Browne, of Steely & Clevie fame.